We are ready to get started on our next sewalong! This month we are changing things up a bit and doing a swimsuit free all. 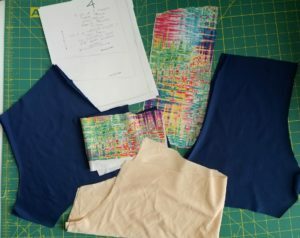 Participants can sew up any 5oo4 pattern as part of a swimsuit and be eligible to win a prize, but the grand prize pack will be reserved for entries who sew up a pair of Tidal Wave Swim Shorts. We have another great group of prize sponsors the Swimsuit Free For All, and we wanted to take a minute to say thank you to Jumping June Textiles, Raspberry Creek Fabrics and Custom Printing, The Fabric Fairy, and Fabric Stache. They have generously offered up store credits as prizes for this sewalong ranging in value from $30-50! To enter this month’s Swimsuit Free For All sewalong, make sure to check the Facebook group each day and post pictures of your progress in the correct thread. You can search #5oo4SwimFree4All to pull up the entry threads. No matter which pattern(s) you are sewing up, you will need to show your progress. To be fair, only items sewn up during the sewalong will be eligible for entry. For example, if you sew up a pair of tidal wave shorts during the sewalong to go with an x-factor top you made previously, then you will only receive one entry. If you sew up a pair of riptides and an agility tank during the sewalong, then you will have 2 entries. Alright let’s get started! For Day 1, we are going to start by MEASURING. That’s right, before we print, tape, or cut anything, we are going to take our measurements to make sure we are making the correct size (or blending sizes if needed). For the Tidal Wave Shorts, we will need to take accurate measurements of our waist, hip, and thigh to determine what size(s) to print and cut. After taking my measurements, I found I need to cut a size large for the waist but my thigh measurements fell in the XL range. I prefer low rise, so after printing sizes large and x-large, I took tracing paper and traced the pattern piece along the large line for low rise down through the crotch for front and back and then graded out to XL for the thigh. Please note: this method worked for my body type and measurements. You may need to grade out before the crotch line depending on your measurements. 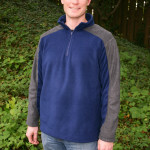 Check out pages 13-15 of the Tidal Wave Tutorial for fitting alteration tips. If you are making a different pattern(s) it is still a good idea to take your measurements to make sure you are making the correct size. If it is your first time making a particular pattern, I highly suggest making a muslin first. 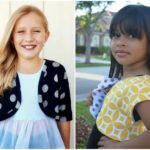 Once you have determined your size(s) and any alterations that may need to be done, go ahead and print, tape, and cut out your pattern pieces. Depending on the view you are making for the Tidal Waves, you will need the following pattern pieces. 1: Shorts: Cut 2 as mirror images in main fabric and another 2 as mirror images in lining fabric. 2. 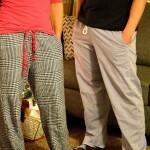 Waistband: Cut 4 in main fabric (or for maternity cut 2 on maternity line for front and 2 on regular line for back). 3. Gusset: Cut 1 in main fabric and 1 in lining fabric. 4. Leg Bands (optional). Cut 2 on the fold in main fabric. 2. Center colorblock piece. Cut 2 as mirror images in contrasting fabric. 3. Back colorblock piece. Cut 2 as mirror images in main fabric. 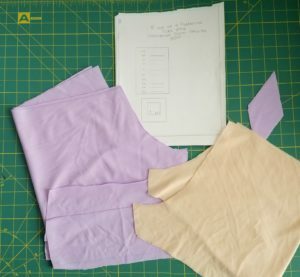 4.Use the solid shorts pattern piece (non-colorblock option) and cut 2 as mirror images in lining fabric. 5. Waistband. Cut 4 in main or contrast fabric (or for maternity cut 2 on maternity line and 2 on regular line). 6. Gusset. Cut 1 in main fabric. Cut 1 in lining fabric. 7. Leg Bands (optional). Cut 2 on the fold in main fabric. That’s it for Day 1. Make sure to post your progress in the Day 1 thread in the 5oo4 Facebook Group. Search #5oo4SwimFree4All. And, of course, do not hesitate to ask any questions. how can I find pattern if don’t belong to facebook?